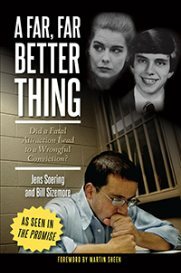 Jens Soering - McAuliffe's dilemma: Will he support McDonnell or Kaine in Jens Soering case? McAuliffe’s dilemma: Will he support McDonnell or Kaine in Jens Soering case? Former UVA student/convicted murderer Jens Soering has been in prison for 29 years for the stabbing deaths of his girlfriend’s parents, Derek and Nancy Haysom, in 1985. During that time, his case has become an international cause célèbre, and a request to repatriate him to Germany is again before a Virginia governor. In 2010, outgoing Democratic Governor Tim Kaine agreed to send Soering back to Germany. Almost immediately upon taking office, Republican Governor Bob McDonnell, since convicted of criminal charges himself, revoked Kaine’s decision. Charlottesville civil rights attorney Steve Rosenfield represented Soering in a lawsuit against McDonnell in 2011, and argued McDonnell did not have the authority to revoke his predecessor’s order. He lost in 2012, and is representing Soering again in the latest repatriation efforts. “Kaine spent nine months exploring, investigating and negotiating with the German government before his consent to the transfer, whereas McDonnell heard about the decision after a few days in office and did no homework before deciding to rescind Governor Kaine’s consent,” says Rosenfield. Since McDonnell’s decision, 123 members of the German Parliament have petitioned Democratic Governor Terry McAuliffe to release Soering, the son of a German diplomat. Chancellor Angela Merkel raised the issue during a 2014 visit to Washington, D.C., and the German human rights commissioner visited Soering at Buckingham Correctional Institute, where he’s being held, that same year. 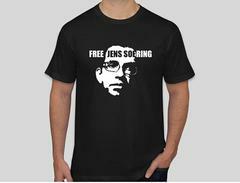 While many people believe Soering’s case is one of botched justice and a human rights travesty, others believe he should rot in jail. Delegate Rob Bell is one. “Given the vile and heinous nature of his crime, he should spend the rest of his life behind bars,” Bell writes in a recent letter to supporters, urging them to write McAuliffe and ask him to oppose Soering’s release. The night the Haysoms were murdered in their Bedford home, Soering and Elizabeth Haysom had rented a car and driven up to Washington. Someone drove the car back down to Bedford, where Derek Haysom was stabbed 36 times and Nancy Haysom eight times. Soering and Haysom went on the lam for about a year, hopping from Europe to Bangkok to England, where they were caught running a check-and-merchandise return scam. Initially Soering confessed to the murders, and he said he believed that as the son of a German diplomat he would have immunity and could protect Haysom. He later recanted the confession, and said he stayed in Washington and bought movie tickets while Haysom drove down to Bedford. She pleaded guilty to first-degree murder as an accessory before the fact in 1987 and was sentenced to 90 years in prison. She’s currently being held in the Fluvanna Correctional Center for Women. Soering fought extradition, and England only agreed to send him back to the U.S. if capital punishment were taken off the table. Soering was returned to Bedford in 1990, and a jury convicted him of two counts of first-degree murder and sentenced him to two life sentences. That was before Governor George Allen did away with parole. Soering has been eligible since 2003 and has been denied parole 10 times. In prison, Soering has never been disciplined for an infraction, and he’s written nine books. While he doesn’t have access to a computer, supporters have created a website with all the particulars of his case. The New Yorker ran a nearly 12,000-word piece on Soering in its November 9 issue. Two matters are now pending for Soering. He went before the parole board a couple of months ago for the 11th time and has not gotten a decision. “It’s very unusual for the parole board to take this long,” says Rosenfield. Correction 11/21/15: Elizabeth Haysom was convicted of being an accessory before that fact, not after.